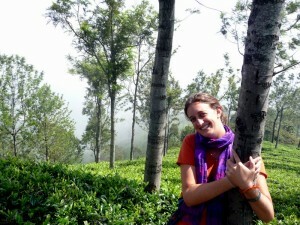 Little Tree Tea is a custom imported tea and boutique travel company based in Burlington, Vermont. After 13 years in the tea business, we started Little Tree Tea as a way to truly connect tea producers in Asia with tea lovers and other tea professionals in the US. We began our journey in 2002 as casual tea drinkers with a longing for the open road and authentic experiences. After several years working in the retail tea business and developing our palates, we decided to drop everything and head to the source. With only a backpack and a guide book, we went searching for tea. We traveled back and forth across Asia visiting all the tea gardens and factories we could find in China, Japan, Taiwan, Vietnam, Laos, Thailand, India, and Nepal. We even ended up living and working in Taiwan for a few years. We made some great friends and drank some unbelievably good tea. 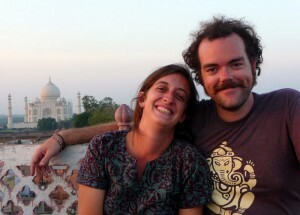 Eventually we made it back to the states, where we have been sharing tea and travel stories ever since. There are lots of places to buy tea these days. Some are better than others, but few provide the opportunity to experience first hand the long journey every tea makes from the field, to the factory, to the cup. Our passion for tea and travel has taken us around the world and allowed us to meet so many great people who also share our love of great tea. Now we want to share the adventure with you!